What can I do? It’s a common question we hear from people of color and white folks in response to racial events that consistently show up in the news and occur in our own communities. At CEI, we believe people need a place to talk about race, tools to navigate these sometimes uncomfortable conversations, and ways to take action and make positive change in our homes, neighborhoods, workplaces, and communities. 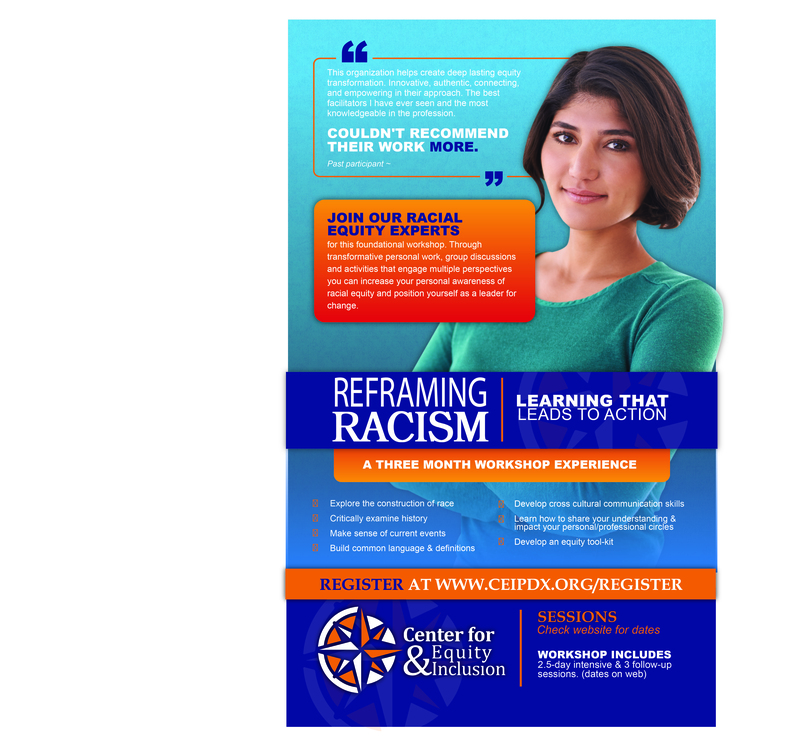 In response, we offer Reframing Racism, a transformative process designed to help folks become more racially conscious, culturally competent individuals who understand how racism operates and what we can do about it. Trainings and follow-up sessions are held monthly in Southwest Portland. Workshop pricing $500. Includes all necessary materials.